YALAMBOJOCH, Guatemala (Reuters) - Between heavy sobs, Catarina Alonzo explained that when her husband left Guatemala to try to reach the United States, they hoped taking their 8-year-old son would make it easier for the pair to get in. Instead, the boy fell ill and died. Detained on the U.S. border, Felipe Gomez Alonzo died late on Christmas Eve in a New Mexico hospital a few weeks after setting off with his father, becoming the second Guatemalan child to die this month while in U.S. custody. The two deaths have led to renewed criticism of the Trump administration's hardline stance on illegal immigration, as well as fresh scrutiny of why some migrants from Central America travel with children on the long, dangerous road north. 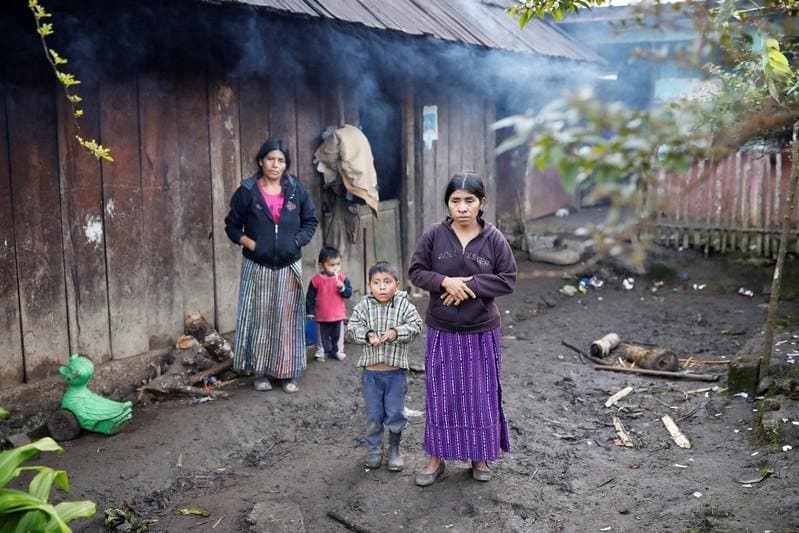 Speaking at her home in a mountainous region of western Guatemala, Catarina Alonzo said neighbours had told the family that taking a child would provide her husband with a way in. "Lots of them have gone with children and managed to cross, even if they're held for a month or two. But they always manage to get across easily," she told Reuters in an interview that was frequently interrupted by tears she shed for her son. Alonzo, an indigenous Maya and native speaker of Chuj, has little Spanish and communicated through a translator. Wearing a sweatshirt and a purple dress, she spoke outside her hut in Yalambojoch, a village of around 1,000 people near the Mexican border. She related how the boy and his father Agustin, an agricultural worker, had left in early December to find work in the United States to pay off debts. The two also hoped the boy would get a better education in the United States, she said. Still, Alonzo said her husband had doubts, and at one point decided he did not want to take his son. But that upset the boy, so they changed their minds and resolved he should go. Alonzo's sobs could be heard for minutes outside the house before she came out to be interviewed. Afterwards she went back inside to a tiny altar she had adorned with three photos of the boy that a local school teacher had printed out for her. The altar stood to one side of a single room with cement walls that serves as a bedroom and living area Alonzo shares with her three surviving children. Adjoining it was a kitchen with a dirt floor and wooden walls. Her husband Agustin remains in U.S. custody. Marta Larra, a spokeswoman for Guatemala's foreign ministry, said people smugglers known as 'coyotes' often encourage migrants to take children as a form of "visa." Many coyotes are trusted by migrant families, so their word carries weight, she added. Under U.S. law, families from countries that do not border the United States cannot be immediately deported, and because of a longstanding legal settlement, there are restrictions on how long U.S. authorities can detain migrant children. As a result, families with children are often released to await an immigration court hearing, which can be scheduled well into the future due to ballooning backlogs. U.S. President Donald Trump has tried to reverse the policy, which he calls "catch and release," but has been blocked by lawsuits in federal court. Trump's insistence on building a southern border wall has given coyotes a fresh argument to promote migration, noted Larra. "According to interviews (with migrants), the coyotes are saying 'it's now or never' because the wall is going to be built, and it won't be possible to cross," she said.